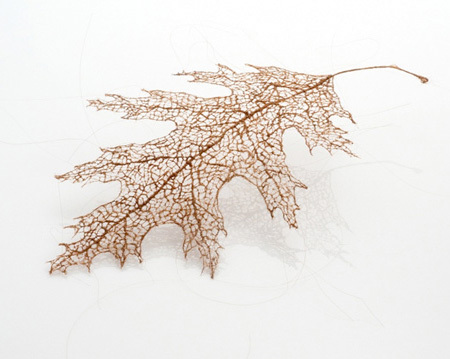 Beautiful and realistic leaves created out of human hair by Jenine Shereos. 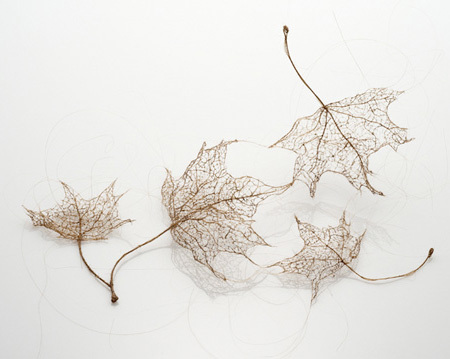 Intricate leaf veins were recreated by stitching, wrapping, and knotting together strands of hair. 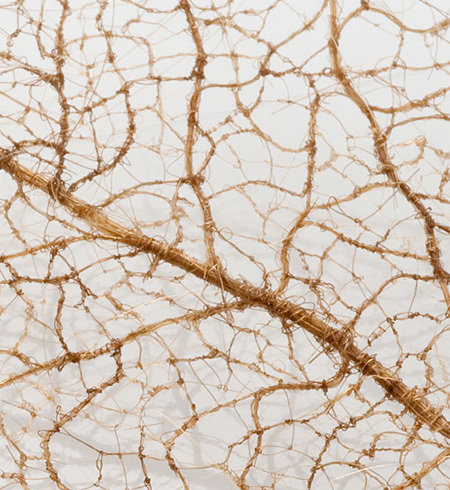 Complex and extremely detailed network of lines mimics the organic patterns that are typically found only in nature. This must have taken for-freaking-ever. this is so beautifullllll…. 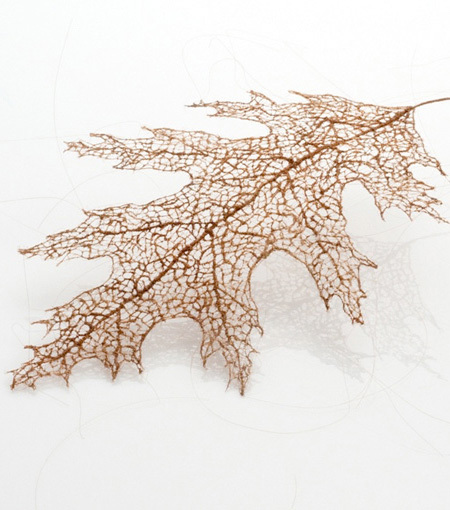 fragility of human hair, of human being, so carefully knitted… reminds of time passing by, irellevant things can be so big in focus when you make such marvelous creations-…. 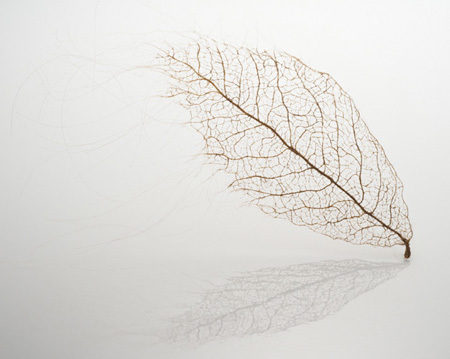 creation came from destruction….pure poetry..
a solution to a hair loss problem. In the past century (before radio and tv) people used to make a lot of art out of hair, just for a past time. A little weird but a very cool idea. Too bad my hair is so dark it wouldn’t work for such a project. The idea is not new, though. Hairdresser have been doing things like that very often in 17th / 18th century they were creating pieces out of human hair which allowed remembering the dead. For example bracelets, brooches etc. 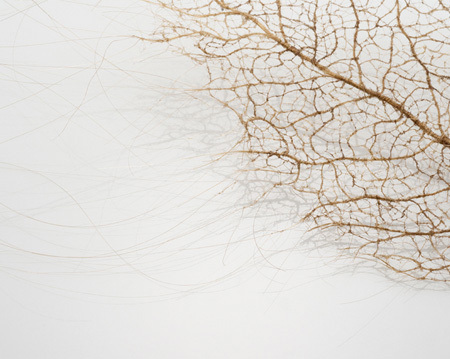 You can see some of that stuff in the museum for sepulchral culture in Kassel, Germany. This would be a great gift for those that wish to have a memento or legacy of someone they knew that was dear to them. Using their hair as a piece of art. (perhaps in the future they can use it to clone the person again!! ).